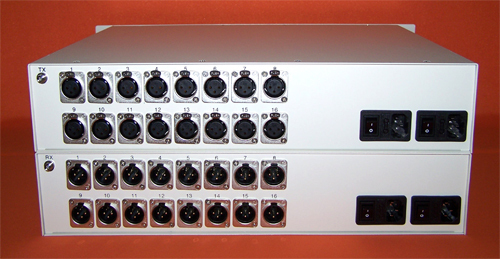 Doteck i16 series is a high performance broadcast quality 16-channel audio transmission system. Input 16-channel analog audio. Output 16-channel analog audio. Doteck i16 series technical specifications are over broadcast quality, which is widely used in radio stations.